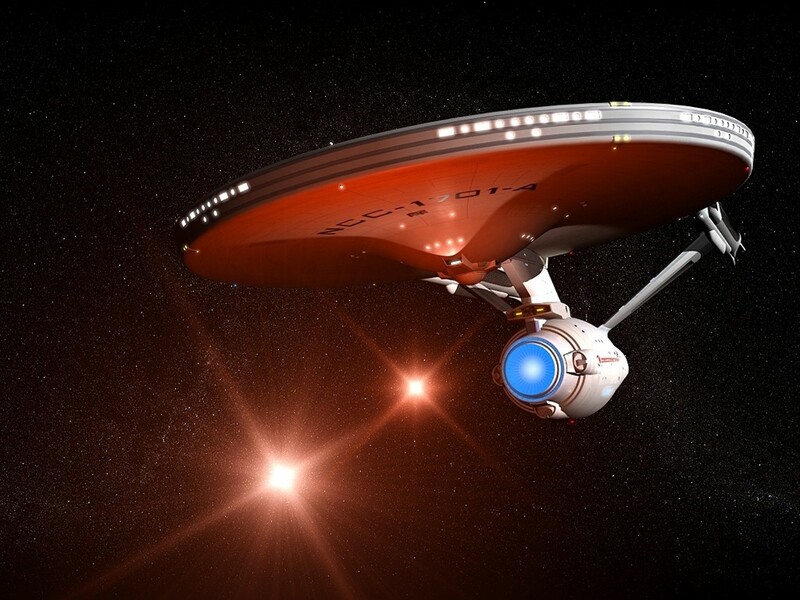 BIM has reached the final frontier, and is losing the battle. I thought, hold on a minute — this is one of the most challenging mega projects in the world, constructed by the industry’s best professionals, and this Site Engineer doesn’t know what BIM is? Do any field workers in construction delivery teams know what BIM is? Then I thought, wait a second — can I even answer his question?! From a field person’s perspective during the delivery phase, BIM should be the process of rendering a digital version of your road, bridge, tunnel or building at a near simultaneous rate with which the physical asset is being constructed in the field. After watching people at work as well as talking to them, I’ve learned that the people who know the asset the best, the skilled craftspeople, engineers and site supervisors, are left out of the process and cannot contribute crucial information to the digital version of the asset. Information that asset owners and operators need after construction. Through the application of BIM technologies to date, strong benefits are being realised across the industry and now we have reached the Final Frontier — delivery field crews. The day I met Scott, is when I realised that BIM is losing this battle. Disclaimer: this article is less to do with BIM as a digital tool, and more to do with the engagement cliff between ‘before’ a construction project commences and ‘after’ the asset is opened and operational. I’m also no BIM expert, although I have used some BIM tools while working as a construction engineer. Scott is a champion steel fixer, and we met 2 years ago when my team was building 30m/98f long prestressed Super T bridge girders (shown above). You see that section of fillet on the bottom of the girder, right over there next to the magnet? I see it, what about it? There’s going to be an issue with cover to the stirrup during maintenance. What do you mean, I can see the spacer block! It’s not the spacer block, it’s the detail of the stirrup and the longitudinal bar. But we didn’t get any non conformances on that one? Sure, the designers can’t know everything that happens on site. But the insights and knowledge of the field workers, people like Scott, which reveal true asset quality and durability — just get lost. All of the damn time! Wouldn’t this information be useful for the maintenance crews that come in after us? The resounding answer, is yes. In fact, it’s kind of a no brainer. 3. After, 1. Before and 2. During. In other words, all questions answered — the ultimate knowledge of the asset. 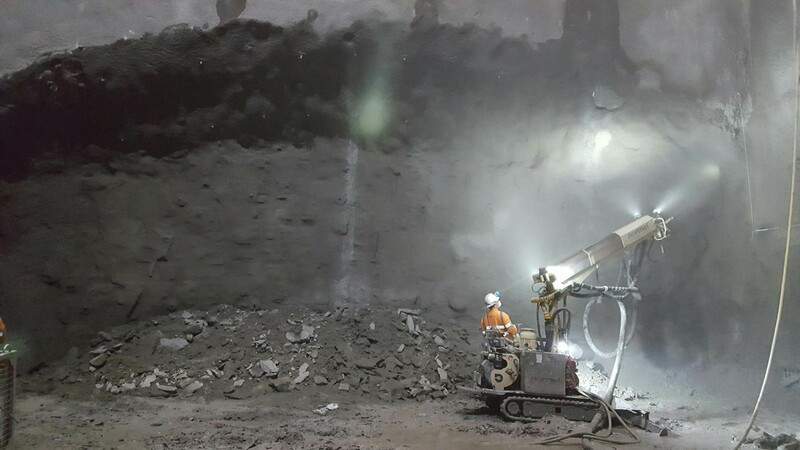 ‘The benefit here is that we won’t have to go back out to physically inspect the asset, or complete destructive investigation work such as core holes to check concrete compaction. The tools currently being used during concept and planning phase are nothing short of phenomenal. One example (shown above) is ClashMEP — a Revit plugin that uses Machine Learning to detect component clashes in real-time, which I saw first-hand on Tuesday night via the Society for Construction Solutions. ‘BIM can be thought of as a virtual prototype — whether of a building, a site, an infrastructure system or a city. To get an expert opinion, I spoke to Jennifer Macdonald. 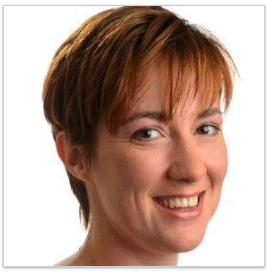 Jennifer is a designated BIM Researcher, Consultant and Lecturer in Construction Project Management at the University of Technology, Sydney with over 10 years dedicated to BIM. Again, the ultimate knowledge of the asset. The most talented people are left out of the process. People just like Scott, who know the most about the physical asset. Working as an engineer, I saw a lot of relevant information being created in the field and then lost. Information that could have been tracked, collated and then linked to the digital model before being transferred to the owner operator. Note: of course, not all information is should and would be transferred to the owner operator. The status quo is fighting back as BIM should be spreading into field platform integrations. 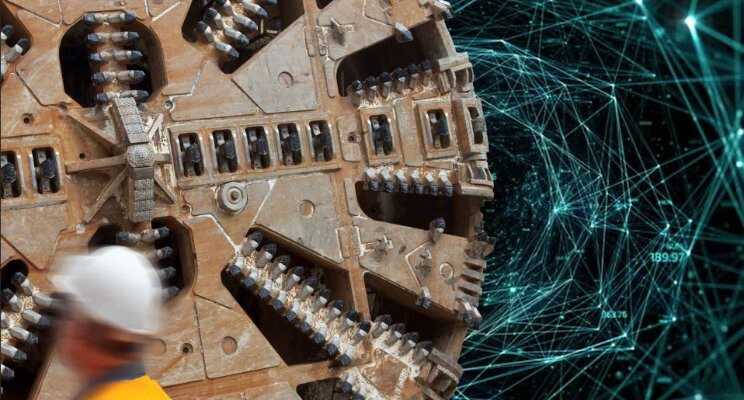 Technological resistance at the Final Frontier comes in the form of legacy systems that are often lacking mobility and are typically built on outdated technology that doesn’t support a link to the digital asset during project delivery (if they are even being used — click here to read more). Compounding this resistance is a misalignment in systems thinking between desired outputs at project completion and the daily habits of those who hold the information key to creating the desired outputs. We already have the technology to bridge this gap. But, it’s not about the technology. It’s about the people. 📱 Digital: equip women and men in your delivery teams with smartphones and data, and then throw out the site printers (save printing cash as well $$$). ⚙️ Engage: switch on collaborative software that people want to use — pull don’t push. This establishes multiple digital workspaces that are mapped to the natural communication networks across your projects (note the plural: there are many — both formal and informal!). 🔗 Link: use a plugin to link your virtual prototype with geolocated data from mobile devices to an approximate virtual coordinate, followed by pointing to specific digital components. Speculatory prediction: there will not be one overarching tool that can manage and control the digital model, as well as collect field data. Therefore, links between virtual prototypes and field tools will be required. We need a rethink — down to the second. Hours count, minutes count, seconds count. By changing micro habits, we will see macro impact. Habit formation will lead to adoption and engagement. And success follows adoption and engagement. Some products are available and have tried here, but we need to find data and ask ourselves, as an industry, are they really cutting through? Are the habits of those who matter changing for the better? Unless the outputs wanted by owners and developers align with the day to day inputs of field delivery teams, and this alignment helps people do their jobs better, the gap between ‘before’ and ‘after’ will never be bridged. However, linking back to the misalignment in systems thinking mentioned above, if the tools from the above Step 2 — Engage, are not improving the working lives of field delivery teams by helping them do their mission critical jobs better, then it is a waste of everyone’s time and effort. 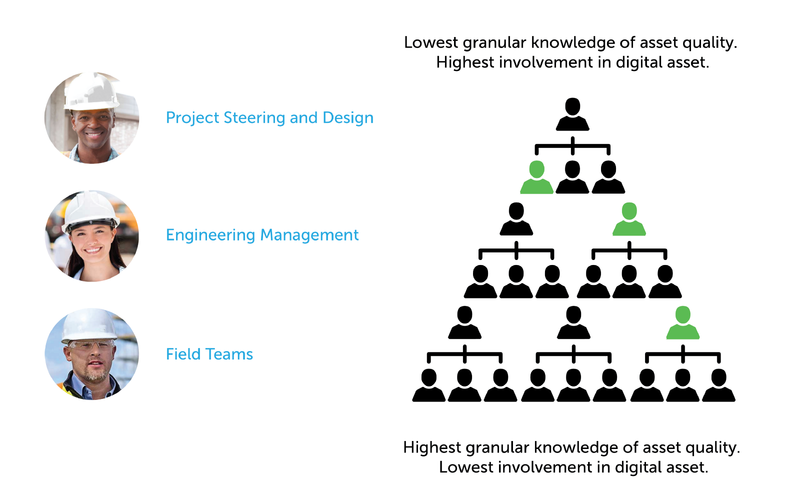 How can the requirement to digitally record a project at a granular level be transformed into something that helps field teams? I believe most people wrongly assume that no one in the field will want to be involved, and some probably won’t, but what if some do? I knew at least one that did. J’Onn: Where did you get this power? J’Onn: I feel… as if a weight has been lifted from my heart. How can I repay you for this miracle? J’Onn: What is it you seek? Sybok: What you seek. What all men and women have sought since time began. The ultimate knowledge. there is demand from owners and operators of assets such as roads, bridges, tunnels and buildings, to receive a digital asset upon construction completion. BIM tools are available and being used by office-based teams, however those that know the asset the best — engineers and foremen in the field, aren’t involved in supplying field information to the rendered digital asset. To win this battle we need to plugin and use APIs to point data back and forth between the live digital asset as it is being rendered and platforms used by field delivery teams.